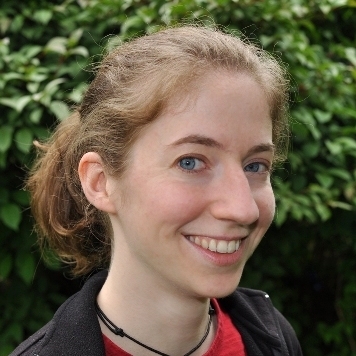 I am a postdoctoral researcher at Carnegie Mellon's Graphics Lab working with Alla Safonova and Jessica Hodgins. 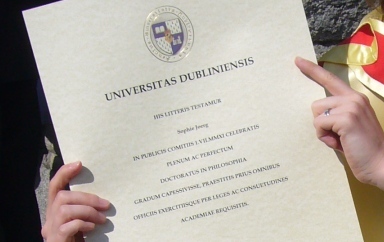 I received my PhD from the Graphics, Vision and Visualization Group at Trinity College Dublin, Ireland, advised by Carol O'Sullivan. During my PhD, I also conducted research as a visiting student in the Graphics Lab at Carnegie Mellon University and as an intern at Disney Research, Pittsburgh. I will be joining the School of Computing at Clemson University as an assistant professor in August 2012. 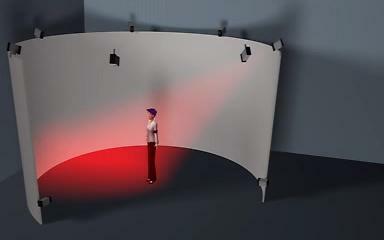 My primary research interests are in computer graphics, especially animation and perception. I am also interested in machine learning, game design, computer vision, neuroscience, and human-computer interation. Character animation techniques and algorithms. I am particularly interested in developing new animation techniques using motion capture, statistical properties and learning through databases. 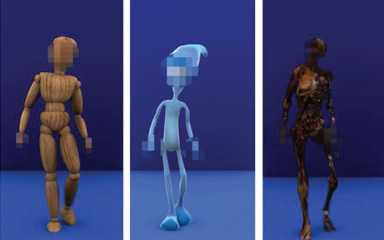 Perception of lifelike virtual humans. 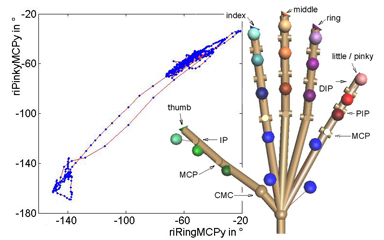 Humans are capable of successfully distinguishing between human and computer-generated motions, even if the differences are marginal. 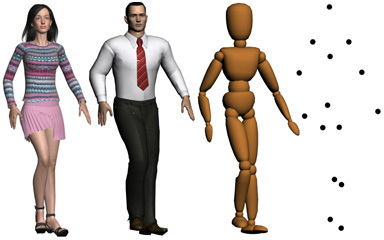 This skill makes it a challenge to produce convincing animations, especially for very realistic human-like virtual characters. I aim to determine which components of human motion are crucial to lifelike appearance and which errors diminish this realism. Hand and finger motions. Hand and finger motions are omnipresent in daily life. 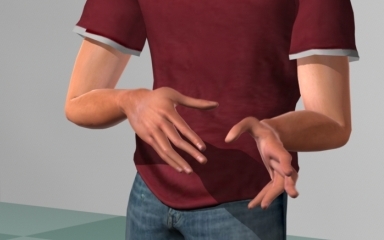 Nevertheless, virtual characters often lack convincing hand and finger motions. Capturing, analyzing, understanding, and automatically generating these subtle movements are topics I address in my research. 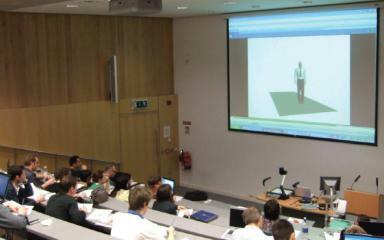 Proceedings of the 7th Symposium on Applied Perception in Graphics and Visualization (APGV), July 2010, pp. 129-133. ACM Transactions on Applied Perception (TAP), July 2010, volume 7, issue 4, article no. 22. Proceedings of the 9th Eurographics Ireland Workshop (EGIE), December 2009, volume 9, pp. 95-101. ACM Transactions on Applied Perception (TAP), August 2009, volume 6, issue 3, article no. 14. ACM Transactions on Applied Perception (TAP), January 2009, volume 5, issue 4, article no. 20. Proceedings of the 5th Symposium on Applied Perception in Graphics and Visualization (APGV), August 2008, pp. 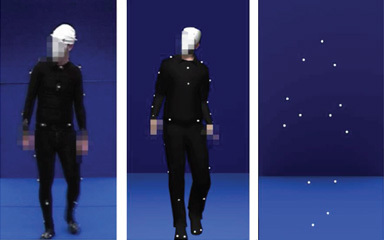 67-74.
International Journal of Virtual Reality (IJVR), December 2007, volume 6, number 4, pp. 11-20. Proceedings of the 4th Symposium on Applied Perception in Graphics and Visualization (APGV), July 2007, pp. 7-10.